Ever wondered what a sandwich tern eats for lunch? Wait for it…. Here comes the punchline… sandeels, sprats and whiting. Sorry about that. You were probably expecting something funny but instead I just told a fact. 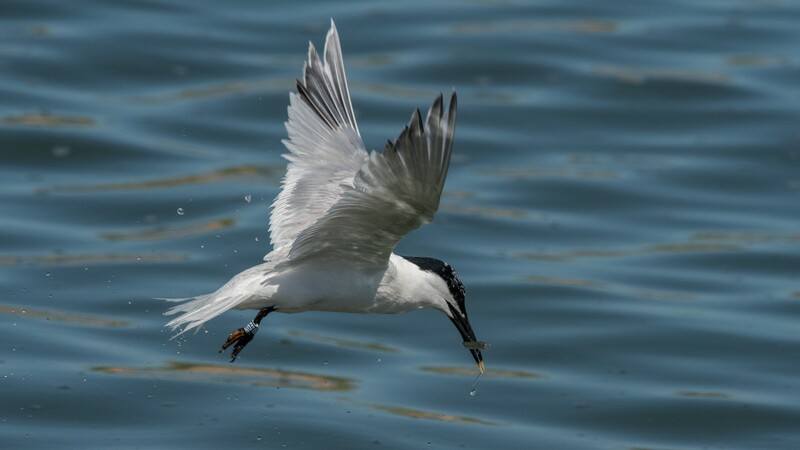 But this amazing photo of a sandwich tern catching its lunch will definitely make up for my failed joke. Sandwich terns are a fantastic migrant species that you can see in the UK from March to September. Most of the UK’s important colonies are usually on nature reserves providing them with the protection they need to survive. Thanks to Andy Leonard for sending us this magnificent photo from his trip to Ythan Estuary in Aberdeen, Scotland. An important home to a mixed colony of Arctic, little, sandwich and common terns. Send your photos to natureshome@rspb.org.uk for a chance to appear as photo of the week.